This leaflet explains why we ask for your personal information, how we store and use it and who we may share it with, and what your rights are. The data collected is shared with other member’s/member organisations in relation to ensuring that fraud related information can be used to prevent further harm to member’s organisations. We do not make your information available for marketing but will use it to respond to your query and/or to inform you of membership events and membership training opportunities which we consider are appropriate to your role. The personal information you give us is stored on our management database. This database is used by TUFF to administer membership activities. 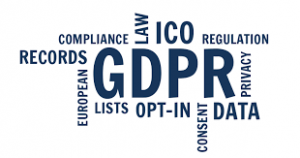 This is a fully managed system and there are procedures and policies in place in order to keep your information protected from misuse in accordance with the General Data Protection Regulations. Your information is kept in accordance with our retention policy. If you have consented for us to contact you about future events, then we will maintain your record until you tell us you would like us to delete it. You have the right to see the information that we hold on you at any time, by submitting a Subject Access Request (SAR) in writing by contacting the Data Protection Officer (DPO) on the contact details below. You may also request to opt out of any of these services or have your details deleted from the database at any time, again by contacting the DPO in writing and letting us know what your preferences are. Before contacting TUFF please ensure you read and understand how we will use any personal data that you provide (email, address etc.) by selecting TUFF Data Policy from the About Us menu above. Fayetteville police detectives are warning residents to watch out for the latest version of a recurring scam that includes a bogus threat of arrest.